Welcome Seniors class of 2013 CONGRATS !!!! 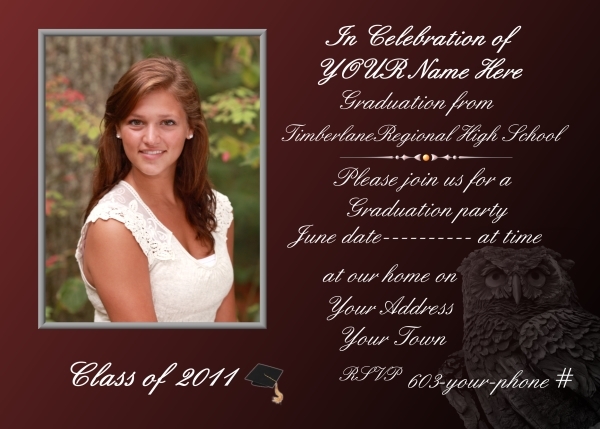 Custom Text to announce the celebration of your seniors graduation. Orders must be placed 4 weeks prior to the date to arrive in time. 5x7 Card with envelopes 25/box $45.50 Drop-shipped to your home.